The Miskatonic Institute of Horror Studies, in association with The Fantasia International Film Festival and the Frontières International Co-Production Market, will present a live masterclass with movie legend Michael Ironside (Total Recall, Starship Troopers, Visiting Hours, Scanners). 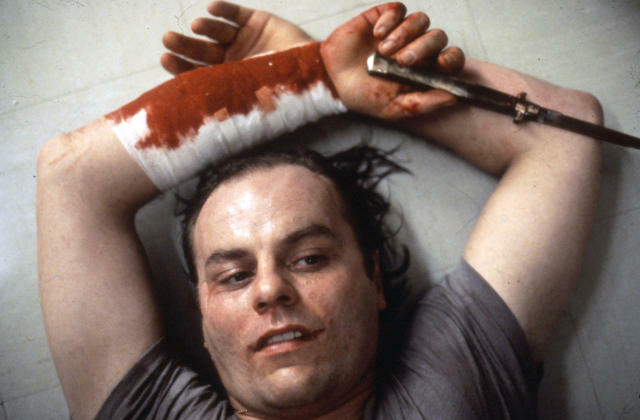 Titled Michael Ironside: Live in Conversation, the event will be moderated by producer, make-up artist and all-around horror aficionado Heather Buckley (The Ranger, We Are Still Here). It will be held at the York Amphitheatre at Concordia University in Montreal on Friday July 20 at 5:15pm with free admission for all. In recognition of Fantasia’s screening of Knuckleball, a project birthed from its Frontières International Co-Production Market, The Miskatonic Institute is proud to present a career talk with one of the most iconic character actors of our time, and a true legend of the genre film world. Over the course of an hour-long illustrated discussion of key films, directors, and collaborators in his life, Ironside will discuss his many film roles – which include work with David Cronenberg, Claude Jutra, Jean-Claude Lord, Tony Scott, Walter Hill, James Glickenhaus, Paul Verhoeven, RKSS, and more – his origins and approach to acting, how he captures his characters, and his command of voice and physicality.